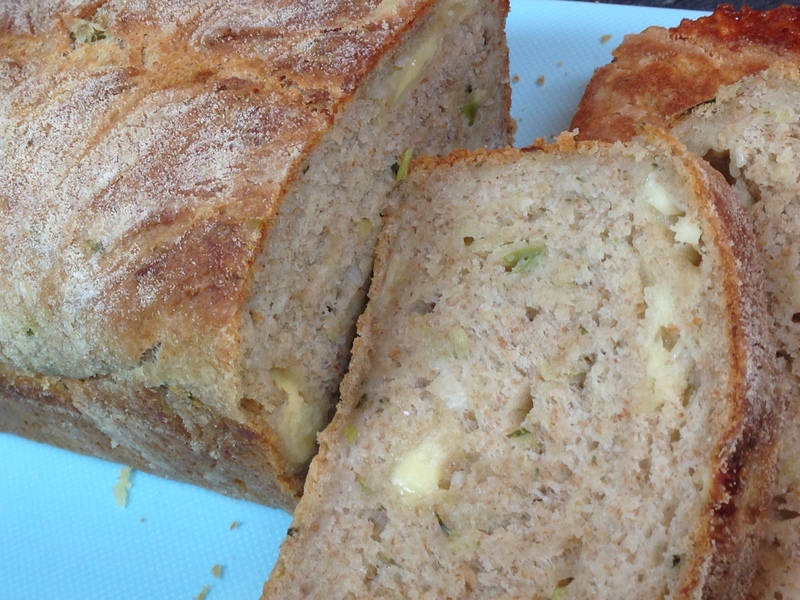 Continuing with the courgette baking theme, but this time with a savoury option. This is a lovely loaf to eat on it’s own, with salads or as I’m doing right now, dunking in a bowl of freshly made Bolognese sauce. The lumps of cheese make a nice feature and work really well with the sprint onions, whilst the courgette ensures that the loaf stays moist. I lade this fantastic bread too but used less SALT in here though! Of course it’s a matter of taste, and I’ve cut the amount of salt down in this recipe because of the cheese. In a plain loaf I’d normally use 9-10g and I’ve used as little as 7g per 500g flour before, but less than this I find the balance isn’t right for me. Too much salt isn’t great either, and it can deactivate the yeast!